Wawa's flagship Philadelphia location at Broad and Walnut streets in Center City. 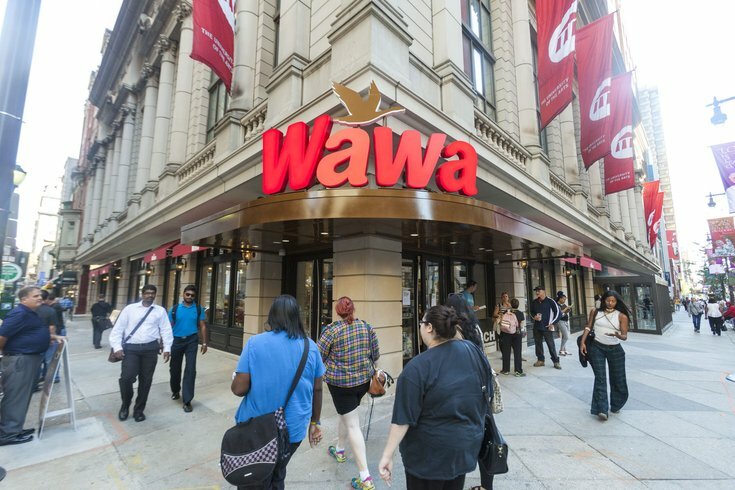 Wawa’s Fourth of July celebrations are long gone as we enter the lazy days of August, but even if you missed the free hoagies at Independence Mall last month, there’s still hope for some free Wawa this summer. It’s a multi-step process, though, so be patient. First, do you happen to have a Wawa gift card? If you do, that would be great. If you don’t, consider getting one because a) you’re going to be eating $15 worth at Wawa in the next 1-3 weeks anyway, and b) it’s instrumental in procuring the promo that gifts you a free hoagie. So, with that in mind, download the Wawa app. From there, follow the option to join the Wawa Rewards program (if you’re already part of Wawa Rewards, no dice for you -- the deal only works for new members). Once you register for the program -- which includes putting in the info for the Wawa gift card you already have or need to purchase -- the promo for a free shorti will appear in your account about a day later. The offer is good now through August 31.